The seizure of the Oakland Unified School District by the State of California stands as one of the greatest public scandals in Oakland's history, perhaps surpassed, only, by the waterfront land grab scheme by which the City of Oakland first came into being. It is certainly greater, by far, than the Oakland Raiders scandal that has assumed so much of our attention in the past decades. The Raider deal, after all, only took our money. The OUSD seizure took our schools, and in its wake of confusion, has severely jeopardized the future of our children. How—and why—Oakland's public schools came to be taken out of the hands of Oakland citizens is still being sorted out, a task made all the more difficult because many of the principle players are still in power, working hard to obscure the sorry history of this sad event. In a recent interview with the Tri-City Voice, Newark Superintendent of Schools John Bernard, who is running against Sheila Jordan for Alameda County Superintendent of Schools in the June election, outlined Ms. Jordan's role in the Oakland school takeover in 2003: "Other county superintendents allow districts to use bond money as a loan when the district is going into the red," Mr. Bernard told the newspaper. "The incumbent, Sheila Jordan, did not allow Oakland to use the bond money, they went into default and the state took over." It's a key point that ought not be forgotten. To keep from having to accept the state loan, the Oakland School Board had proposed borrowing money from its own construction bonds fund, money that the district would later pay back to itself. The use of the bond money in this way was approved by OUSD's bond attorneys, who happened to be the bond attorneys for the State of California, and expert in their field. Apparently not expert enough for Ms. Jordan, however, who took it upon herself to ask for a further opinion from State Attorney General Bill Lockyer. Mr. Lockyer declared the bond-borrowing transfer illegal, blocking OUSD from using it to balance the budget and keep Oakland schools in Oakland hands. In a mass community meeting later held at Allen Temple Baptist Church, Ms. Jordan defended her actions by saying that she could not allow the bond transfer because it was illegal. That's an interesting opinion, in light of the recent revelation in a Daily Planet article that State Superintendent Jack O'Connell is prepared to announce the sale or long-term lease of more than 9 acres of school properties, including the Paul Robeson Administration Building. The article raised the possibility that the proceeds would be used to pay back the state for the original loan that was forced upon Oakland. Normally, state law prevents a school district from using the money from the sale of school facilities for anything but the building of new facilities, and so the state loan payback would be illegal. But that law was changed—just for Oakland—in the State Senator Don Perata-written legislation that authorized the state loan and the state takeover of Oakland's schools. That legislation was later renewed in the massive Omnibus Education Bill that recently came out of the California Senate Education Committee. So if Mr. Perata could get a special law passed for Oakland allowing the city to pay back the state with money from the sale or lease of the Paul Robeson Administration Building, couldn't Mr. Perata just as easily have gotten the legislature to pass a law allowing Oakland to save its schools by borrowing from its own construction bond money? And if he could, why didn't he? But, of course, there have been some people who have speculated for a while that sale of the Robeson Administration Building to developers was behind the Oakland school takeover in the first place. In late January of 2004, I wrote the following in this column: "And if you believe the rumors—and Oakland is full of rumors, this morning—the sale of the Robeson Administration Building is what the Oakland school takeover was all about. In this scenario, real estate developers—under the cover of willing local politicians—would dearly like the 2nd Avenue property for upscale housing. Looking at the dreary neighborhood in which the Robeson Building sits, that wouldn't seem to make any sense. 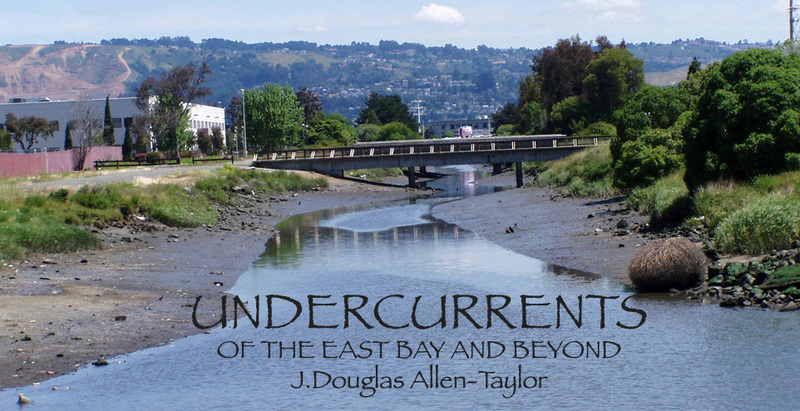 Unless, that is, you take into account that Oakland is busily making plans to reconfigure the 12th Street-14th Street junction around Lake Merritt, and daylight the creek from the lake to the estuary. Very soon, therefore, the Robeson Building will be waterfront property, sitting on one of the most stunningly beautiful sites in the entire city. "And so, this rumor goes, developers went to the local politicians, and the local politicians went to Superintendent Dennis Chaconas, trying to get him to agree to the sale. Chaconas would not agree, and it was never thought that such a crazy idea could ever get past an elected Oakland School Board, the Oakland public being as excitable as it is. And so they had to go, Chaconas and the elected School Board, in one great sweep. And under this scenario, the Oakland school takeover was no necessary result of some accidental overbudgeting due to antiquated computer technology, but was orchestrated from start to finish. You could make a pretty good case for this, I suppose, starting with County School Superintendent Sheila Jordan sending over her financial adviser (Pete Yasitis) to run the Oakland school finances, continuing with Yasitis developing the teacher pay hike plan that led to Oakland's overbudgeting, and ending with Jordan being one of the major players in stopping a Chaconas/School Board plan that would have held off the state 'loan' and preventing the state takeover. I suppose we could ask Yasitis some interesting questions about this, but he has long since left the building. "Anyhow, now comes a Sunday article by Alex Katz of the Tribune (and Tribune reporters have been doing some valuable work recently on the Oakland school issue), in which an extended quotation is in order. Talking about what to do with the five Oakland schools set for closure by state-appointed Oakland School Administrator Randolph Ward, Katz writes: 'Another option would be to move the district's central offices to one of the sites, making it possible to lease or sell the district's valuable administration buildings... "Right now the whole administration building is up for discussion," Ward said. "[A]n agenda for a Wednesday closed session meeting includes negotiations between the 'district and prospective developers and/or owners' of the district's headquarters and adjacent buildings. 'According to the agenda, the subject of closed session negotiations will be the 'Price and/or Terms of Payment for Both the Purchase or Lease or Development of some or all of said property.' State Senator Don Perata·has encouraged the sale of the property, which [Perata] said would make spectacular housing, to help pay down the district's $65 million loan from the state."" Mr. Katz, indeed, was doing some good work writing for the Tribune about Oakland school matters last year, and his voice and experience and insight would have been valuable in sorting out the recent developments concerning the proposed sale or lease of the administration building and surrounding properties. So why hasn't Mr. Katz spoken up? He hasn't because earlier this year, he was hired by OUSD State-appointed administrator Randy Ward to be OUSD's Public Information Officer, thus [conveniently] removing Mr. Katz as a potential threat to dig into these matters and reveal them to the public. Perhaps you think this was just a coincidence, and the powerful don't make moves like this to cover their tracks. Perhaps. But who's being naïve now, Kay? Who lost Oakland's schools, and why? The full story has yet to be told, in part, perhaps, because the story has yet to be finished. It's continuing to happen, right now, right in front of us, a public scandal for the ages.